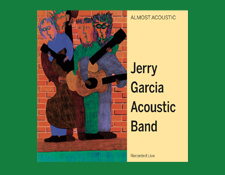 Why did I buy this album by Jerry Garcia called Almost Acoustic? Well, it was the Record Store Day "limited edition," an "expanded edition" of a fine 1988 live album that has never before been released on vinyl. And it helps to understand that I like Jerry Garcia's music very much, both solo and with The Grateful Dead and I already owned this album on its original CD incarnation. I'm something of a recovered Dead Head (I still have hundreds of hours of live shows) and still revere and respect the band and Jerry especially. He is definitely an early guitar playing hero of mine right up there alongside Neil Young, Frank Zappa and Les Paul. But... even with all that I have to pause to ask myself in 20/20 hindsight: "why did I buy this on vinyl?" 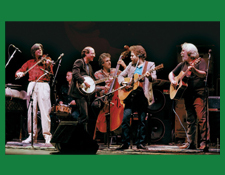 I knew Almost Acoustic was a live album and in the back of my head I was pretty sure it was recorded direct to DAT back in the day. But I wasn't positive about that in the store so I made this impulse purchase. 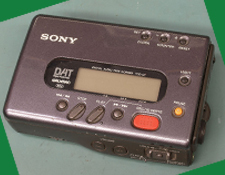 For those not in the know, "DAT" -- or Digital Audio Tape -- was a fine if short-lived, high quality small footprint recording format. I still own a DAT recorder and this reminds me that I have hundreds of DATs that need to be transferred to CD or DVD. "CD?" you say? Why not it it on something more high resolution like Blu-ray Disc? Well, I could put them on Blu-ray but not for the high resolution capability but more for the simple large storage space afforded by that disc format. You see, DAT's official recording spec was pretty much identical to that of the CD -- 16-bits and at best 48 kHz sampling rate but -- as I remember it -- many folks, at least in the consumer world of Dead Heads, just recorded at 44.1 kHz to make for easy compatibility with CD and to make the optimum use of the tape stock. So there really is no higher resolution possible above what ever level the recording was made. It is what it is and it can sound really quite good. And Almost Acoustic is a real nice live acoustic concert! But ... given that Almost Acoustic was recorded on DAT -- effectively at CD quality -- did I really need to own it on vinyl, especially when I hadn't played the CD in a long long time? Not really, me thinks, in retrospect. I admit the new vinyl sounds quite a bit warmer and fuller than my CD, but I suspect that is as much a function of my trusty Bellari tube pre-amp as the remastering that may have been done along the way in preparing this LP pressing. Other than that, it pretty much sounds like my 1988 CD. The Almost Acoustic vinyl is real pretty, pressed in a deep dark opaque green color -- it almost looks black until you shine some light on it -- manufactured at Pallas in Europe. The albums are well centered, dead quiet and the 180-gram vinyl is thick and solid. No corners cut here. I'm not sure why they labeled it an "Expanded Edition" because unless I am missing something Almost Acoustic has the same number of tracks on vinyl as on the CD. So perhaps I expected something more.... And it didn't help my attitude much unpacking the free download and finding it was a MP3 -- not even a FLAC version in CD quality? Well, surely Almost Acoustic is up on Tidal in MQA format, you say... To which I reply: um... no... it is not on Tidal. Nope. No, its not up there. I guess next time I'll be sure to connect the dots a bit more before I succumb to checkout counter impulse buys like this.